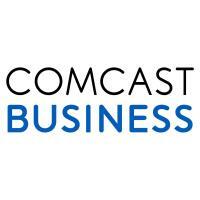 Waterford, CT – Comcast announced it is expanding its network to the Town of Waterford, giving residents and businesses a new choice for TV, internet, voice, home automation and mobile services. Comcast’s buildout in Waterford will benefit the community’s residents and businesses, including those in the Quaker Hill section of Waterford. Located within New London County, Waterford consists of 33 square miles surrounded by water on three sides. The shoreline town is known for a variety of attractions including the Eugene O'Neill Theater Center, Harkness Memorial Park and Waterford Beach Park. The process to extend Comcast’s advanced network throughout the Town of Waterford will continue into 2019. Xfinity Voice: home phone service. Earlier this year, Comcast announced a speed increase to some of its most popular Xfinity Internet service tiers marking the 17th increase in 17 years, in addition to announcing the launch of gigabit speeds using DOCSIS 3.1 technology for both residential and business customers. These speeds are among the fastest and most widely available and include access to the nation’s largest Wi-Fi network of more than 19 million hotspots. Comcast will also offer Internet Essentials, the nation’s largest and most comprehensive high-speed internet adoption program for low-income Americans. It provides qualified low-income families—including veterans—with low-cost high-speed internet service for $9.95 a month plus tax; the option to purchase an internet-ready computer for under $150; and multiple options to access free digital literacy training in print, online and in person to qualified families. Business Smart Office: advanced video monitoring solutions. Comcast also looks forward to making a positive impact in its newest community of Waterford. Comcast has a long history of giving back to the communities in which it serves and where its employees and customers live and work. Across Connecticut in 2017, Comcast/NBCUniversal provided more than $25 million in cash and in-kind support to community partners in the form of Comcast Foundation grants, sponsorships, public service announcements, scholarships and courtesy video and Internet services to schools, libraries, and Boys & Girls Clubs. In New London County, Comcast already partners with the United Way of Southeastern Connecticut. With this expansion, Comcast will be available in 85 Connecticut communities where it employs more than 1,300 local people in its call center, Xfinity Stores and technical operations centers. Berlin, CT is also home to the company’s regional headquarters for Comcast’s Western New England Region, which serves Vermont, western Massachusetts, western New Hampshire and Carmel, NY, in addition to Connecticut. For more information, consumers can visit www.welcome2xfinity.com.